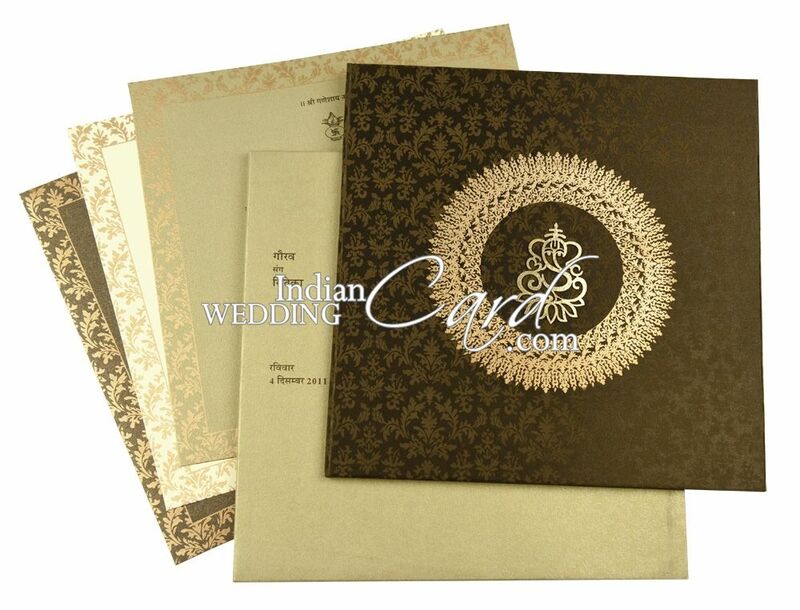 D-6592, Brown Color, Shimmery Finish Paper, Hindu Cards, Exclusive Invitations. Hardbound thick card. 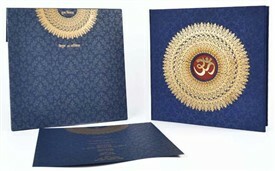 Front has round cut out with laser cut ganesh in center. Tracing paper overlay on inside. A pearl design runs all over the card. 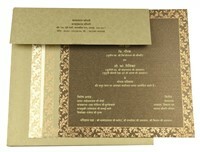 Brown Satin for hardbound thick card. 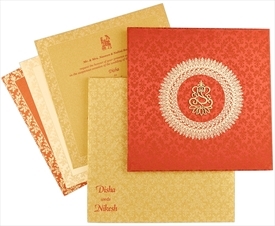 Gold paper for inside lining, one insert and mailing box envelope. 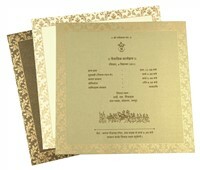 2 more inserts – one each in cream shimmer and brown shimmer paper.